Cape Town is world-renowned for its impressive and affordable diamonds, but choosing one can be tricky. It’s hard to know what to look for and it’s always good to be armed with some basic knowledge before you arrive at a showroom. Whether you’re after an engagement ring, a timeless gift, or some classy bling, this guide to buying diamonds in Cape Town has you covered. The stone, of course, is the star of this show. But there’s plenty to consider when choosing. How big is it? How shiny? Are diamonds really forever? Luckily there’s actually an objective way to answer these questions. When choosing a stone, it comes down to the four C’s. This is the only one of the four C’s that is determined by the people handling the stones. Many people think “cut” is about the shape of the stone, but it actually refers to the quality of the tiny surfaces a diamond is made up of. Master craftspeople file and polish the stones, based on their natural shape, with mathematical precision. The result is a stone that bounces light around inside it and has that iridescent sparkle so characteristic of these gorgeous stones. White or colourless diamonds often look totally colourless but, in fact, there are subtle differences in their shade. They are graded on a colour scale from D (colourless) to Z (heavily tinted yellow). 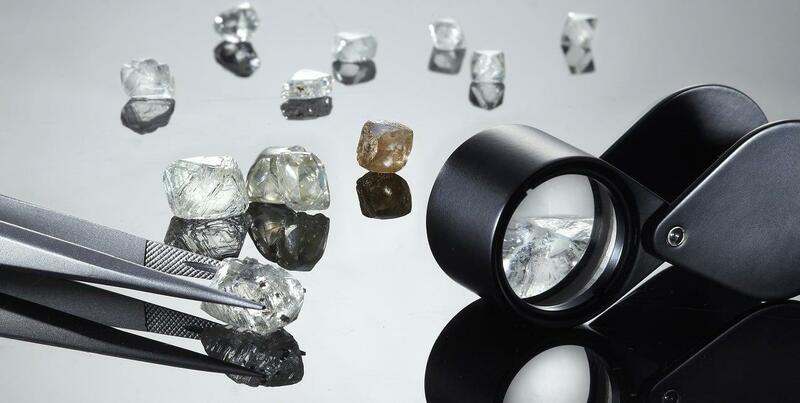 Completely colourless diamonds are the rarest and most valuable. The difference is difficult to see with an untrained eye, so it’s done by experts in a controlled environment with special lighting. Clarity is all about the way the stone itself formed, deep inside the earth. It refers to the tiny fissures or imperfections known as “inclusions”. Most of these are nearly invisible to the naked eye, but they can affect the way light refracts inside the stone. Clarity is graded from F (Flawless) to I (Included). Diamonds with an F clarity rating are the rarest, most perfect diamonds. This is the element most people know about—it’s the size of the stone itself. It’s also something that people will notice. If you’re looking for a 1-carat diamond and you only get a half carat, no matter how gorgeous and expensive the stone is, it will still disappoint. It really comes down to what you want, when choosing a carat weight. For many people, the type of metal that your stone is set in is an afterthought, but it shouldn’t be. There are so many options, each giving a different feel to the finished piece. The ring is made up of two parts—the body, which is known as the “shank”, and the metal that holds the stone in place, which is called the “head” or “gallery”. The type of band and setting can really make the finished piece, and it’s important to know what to choose. If you’re after a ring, it’s really important to have it properly sized, because it’s difficult to make adjustments after the fact. Showrooms can measure the size for yo and will be able to help you choose the correct size if you bring along another ring that fits. The type of metal is important for three reasons—the look of the diamond, how resilient the piece will be over time, and personal taste. If the person who will be wearing the jewellery likes to wear cool tones, platinum and white gold are best. If they prefer warmer tones, a yellow or rose gold will work better. Platinum is a naturally white metal that showcases the brilliance of diamonds beautifully. It’s a popular choice for engagement rings and wedding bands, and it’s also durable and hypoallergenic. It also doesn’t fade or change colour over time. Gold is versatile, and it’s the most common choice for jewellery. Pure gold is too soft to set diamonds in, so it’s combined with other metals like silver, copper, zinc and nickel. Rose gold, for instance, gets its reddish hue from copper. White gold has a more contemporary look, while yellow gold is a timeless classic. The way the stone is set is extremely important, and not only because it secures the stone. It’s also a feature of the stone’s look. Consider getting a white metal head, even if you’ve chosen a warmer tone. 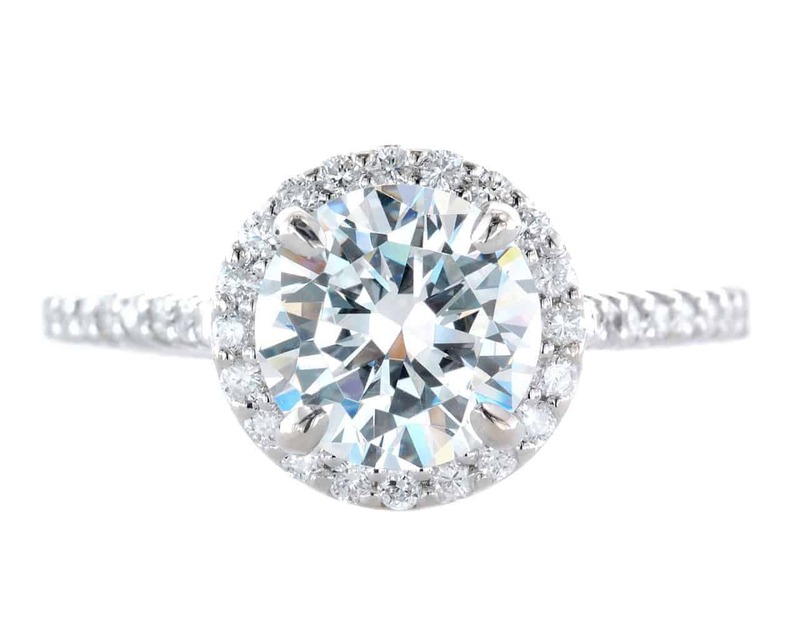 Platinum or white gold will enhance the look of the diamond. The “prong” setting is the most common. Little metal prongs hold the stone in place, elevated above the band. 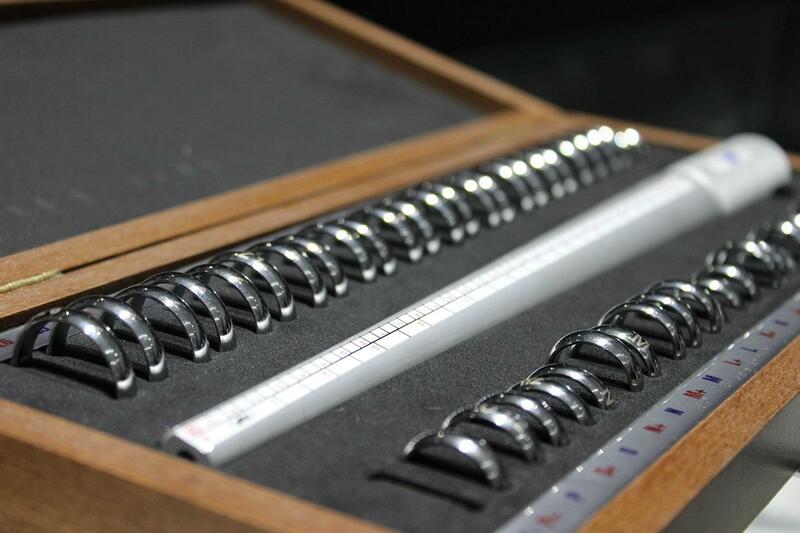 Ask your dealer to show you the various kinds of settings, and choose one that balances security with personal taste. You have some basic information now, but you’re by no means an expert. 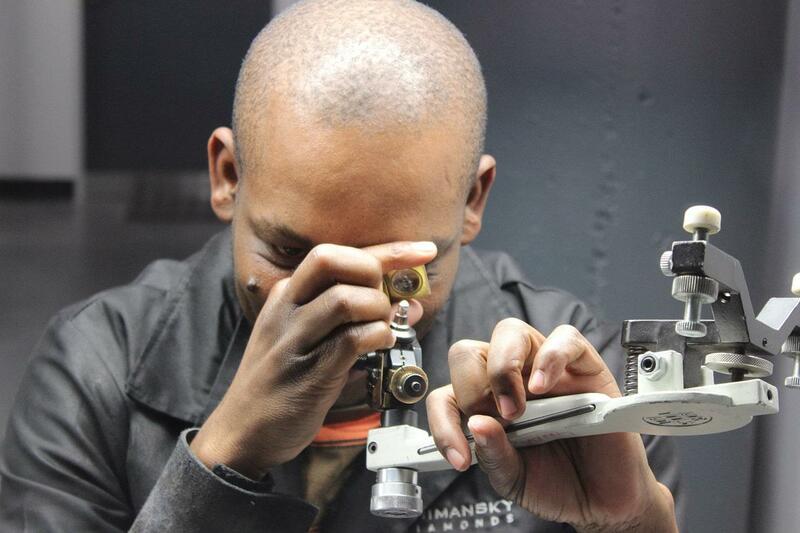 Thankfully, Cape Town has a number of showrooms with experts on hand to guide you to the perfect piece. Shimansky is among the world’s top platinum specialists. They have also recently opened a new showroom, available for VIP groups who want a more personal and exclusive experience. There are a few more Cape Town Tourism accredited dealers to choose from, including The Diamond Gallery, Cape Diamonds, Prins & Prins, Jewel Africa, and The Diamond Works.